There is something for everyone at our 16th Century traditional Cotswold country inn. 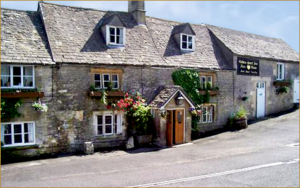 Situated in the heart of the Cotswold’s and in a beautiful location between Brimpsfield and Birdlip, our centuries-old pub sits alongside the A417 and is easily accessible from the M4 and M5. Stop by & enjoy a real ale or coffee, put your feet up & relax, read the newspaper by the log fire or the patio overlooking the beautiful valley, also great for walking. Our wide-ranging menu offers dishes to suit all tastes, including vegan, vegetarian, gluten-free & exotic dishes as well as traditional fayre. Exotic meats have long been a feature of our menu – whether you opt for the healthy option of a low-fat ostrich, kangaroo steak or the more adventurous crocodile & camel. We are dog & child-friendly with treats on the bar for our furry friends. Awards: Lux Traditional Pub of the Year 2018. Camra Gloucester Best Country Pub 2014. The Good Pub Guide Best Pub of the Year 2009. The coveted Booker Prize for Excellence (National Competition for Best Pub Caterer) in 2001 and Meat Pub Finalist 2000 for our commitment to superb home-cooked food, we also feature real ales & ciders and offer a wide selection of wines available by the glass and bottle.